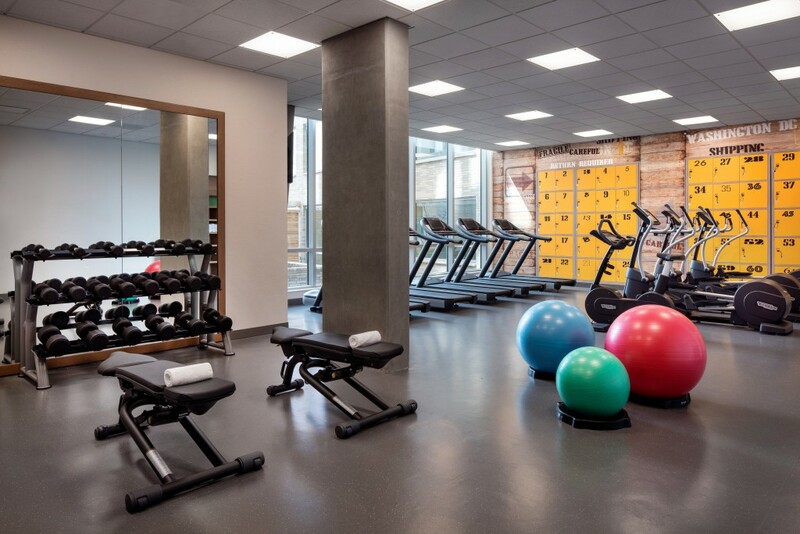 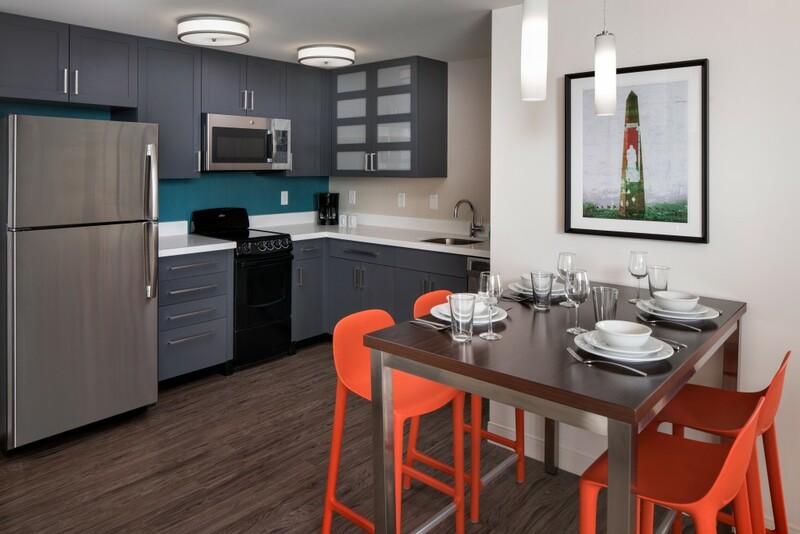 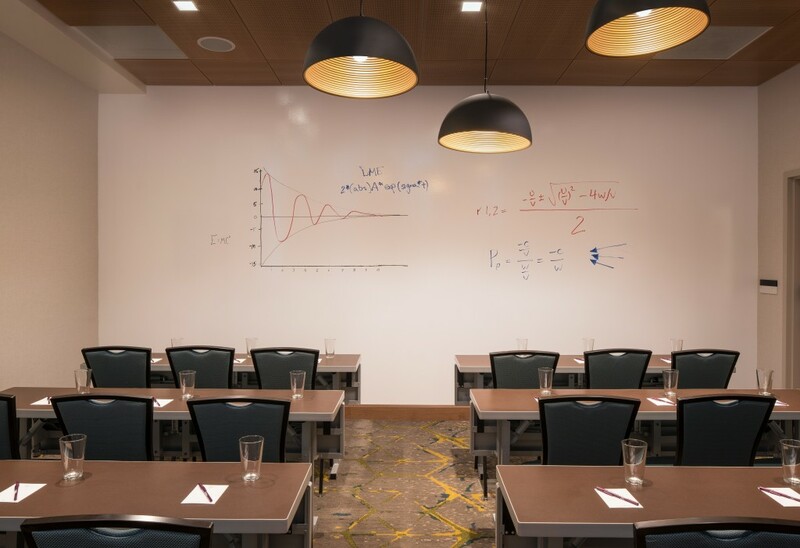 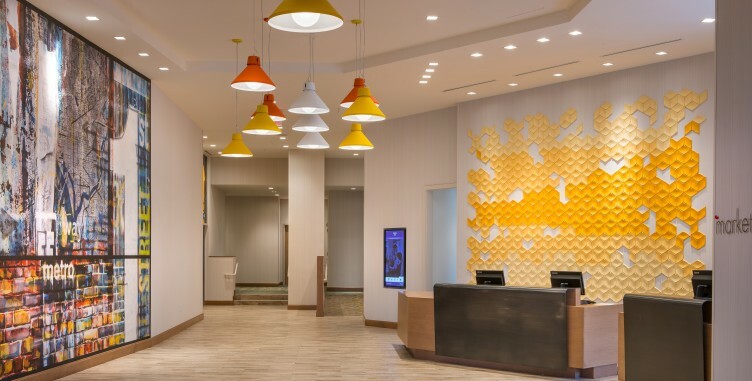 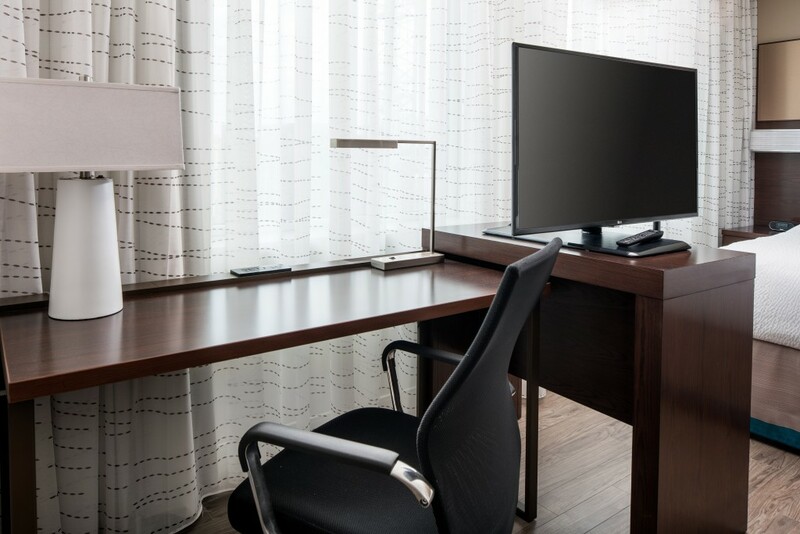 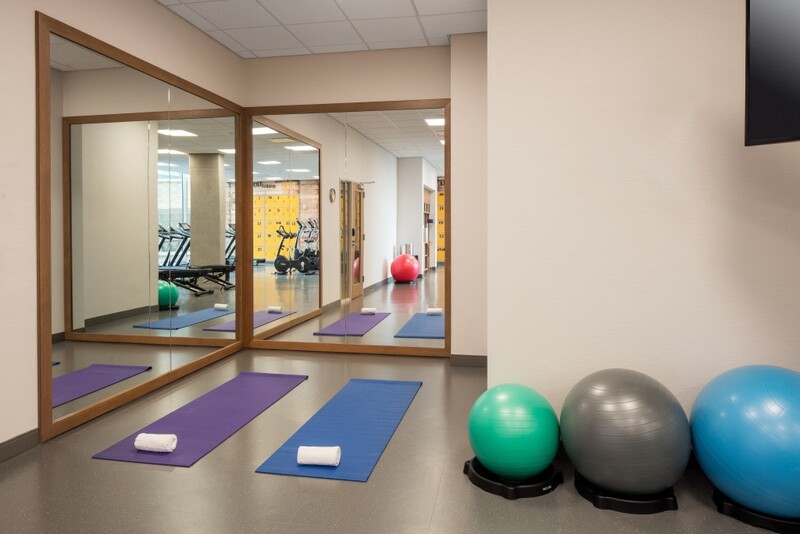 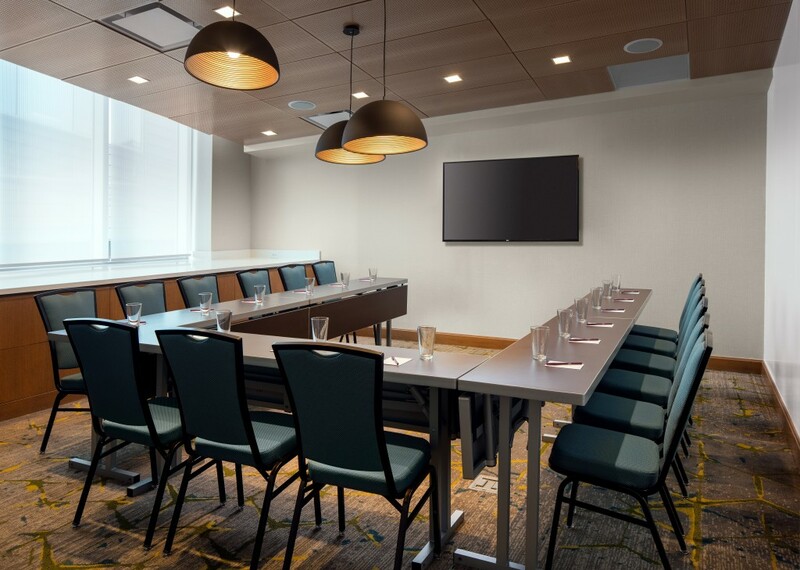 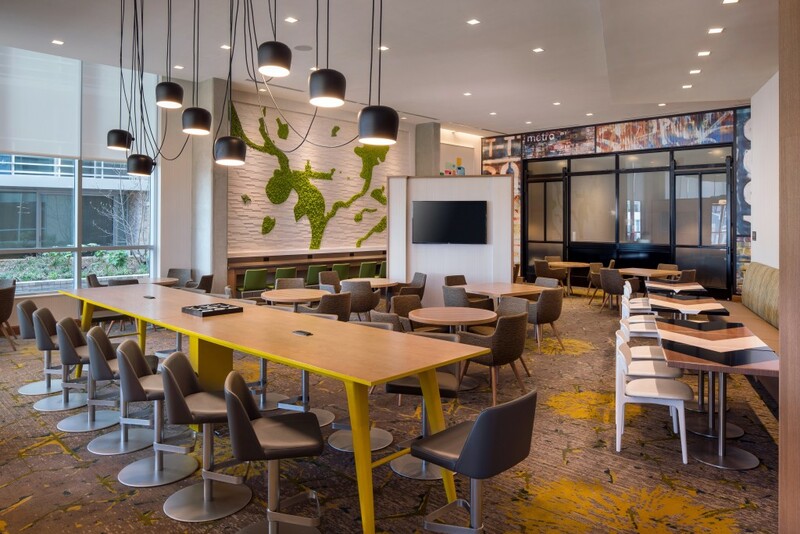 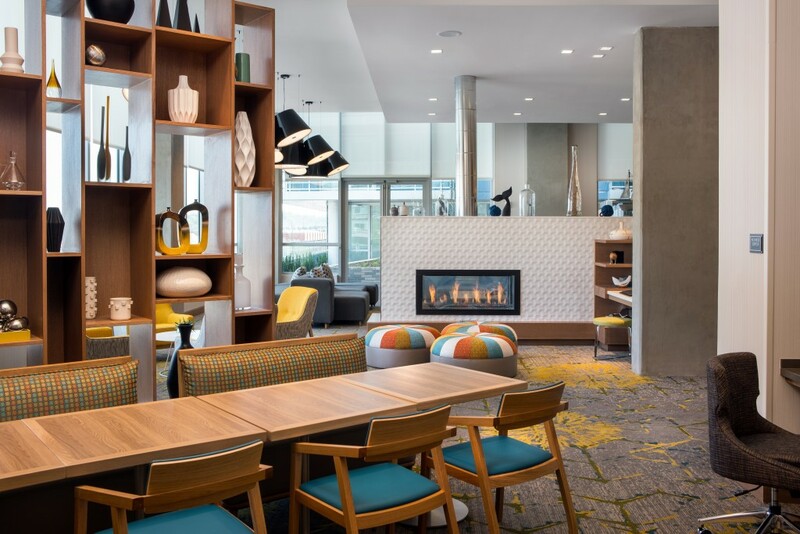 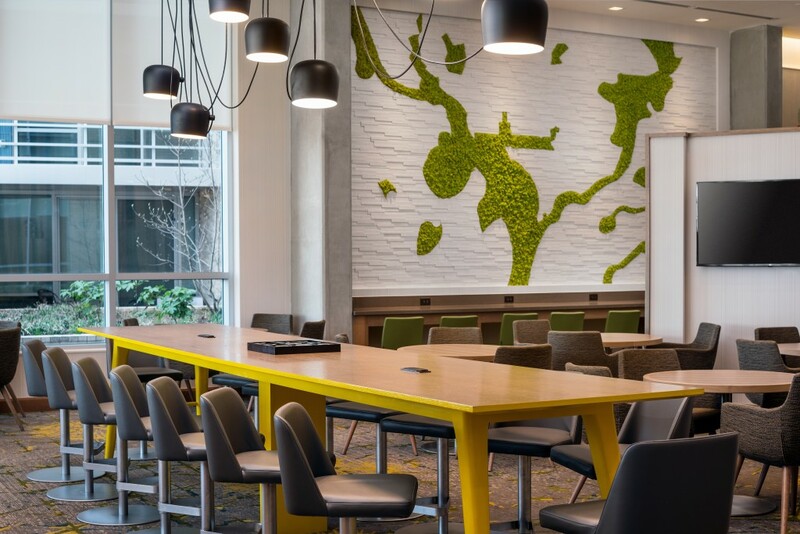 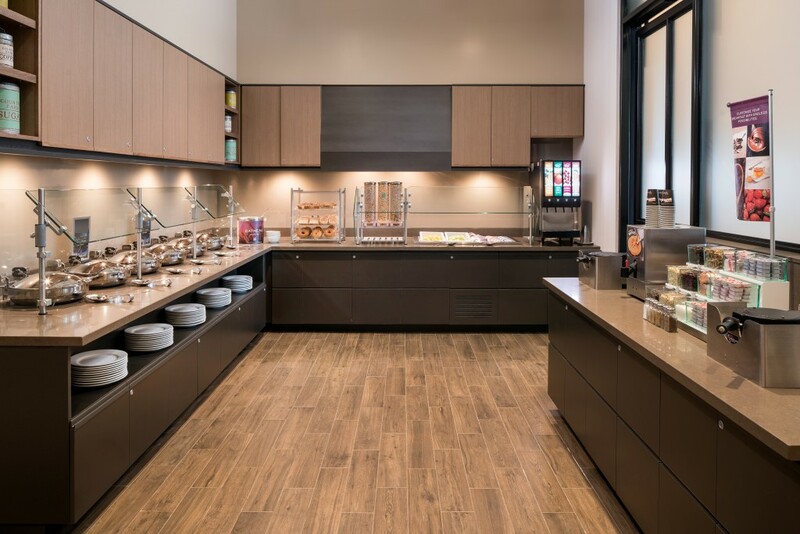 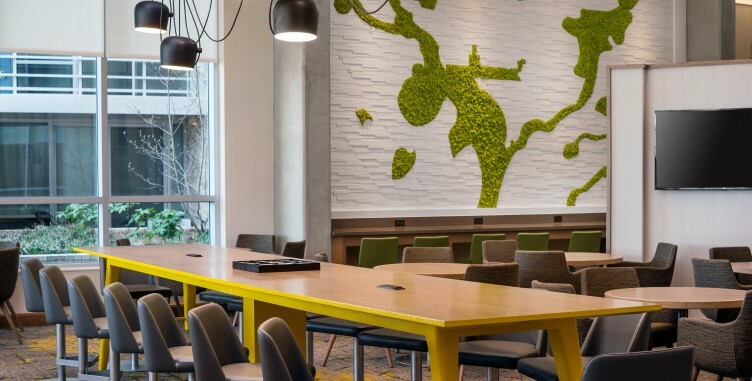 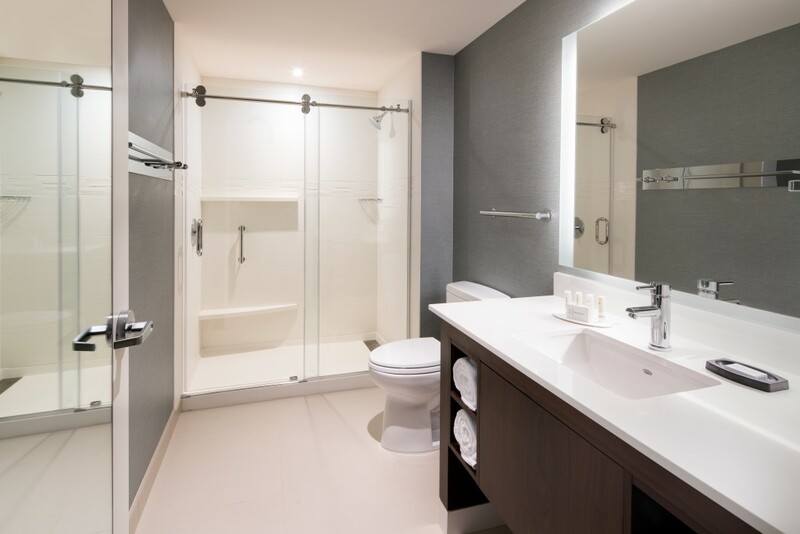 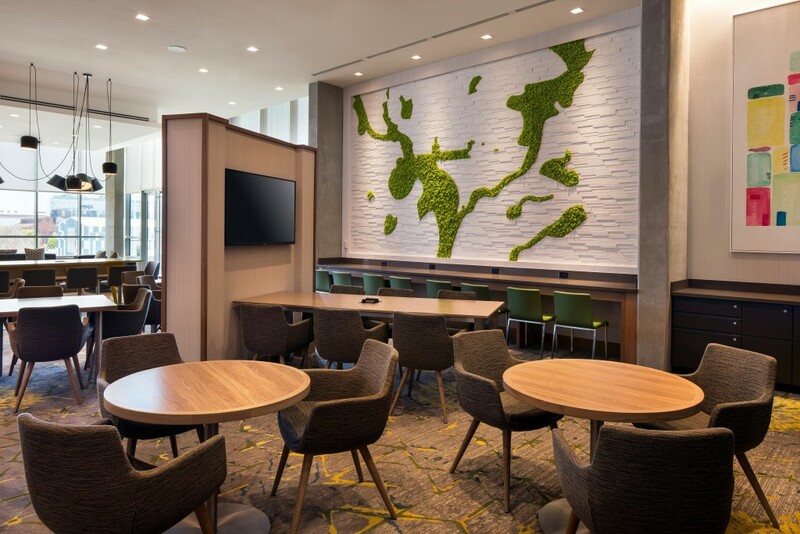 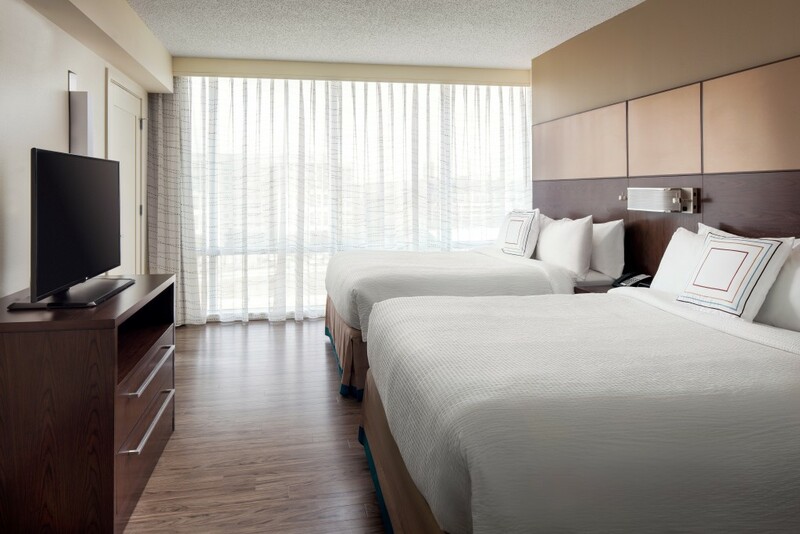 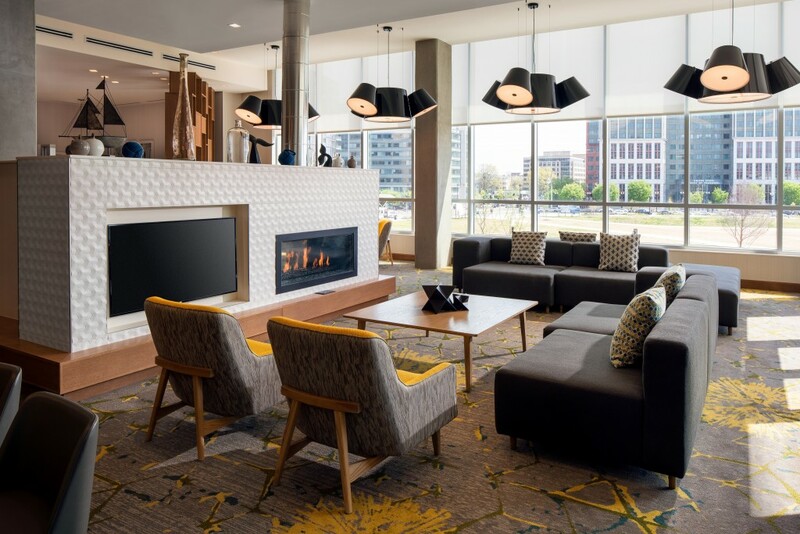 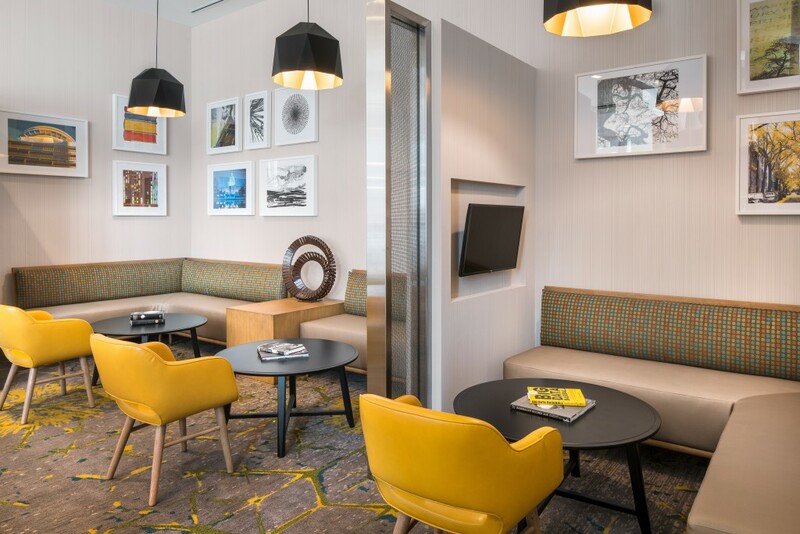 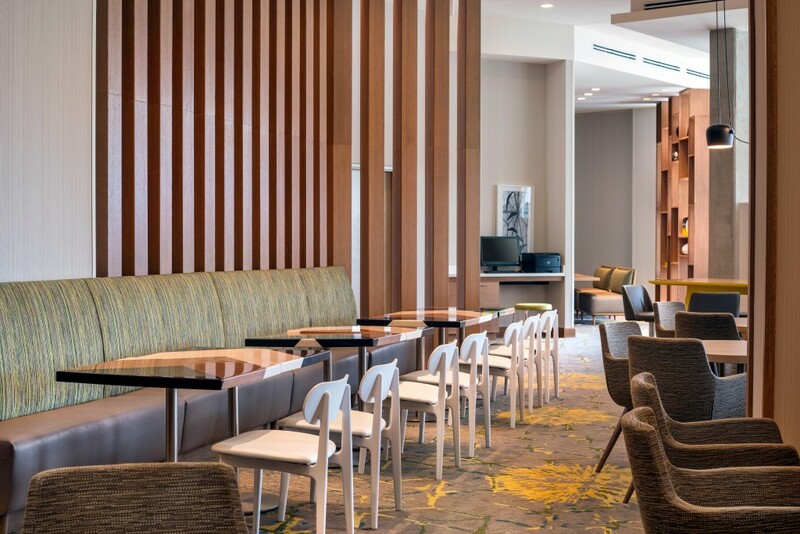 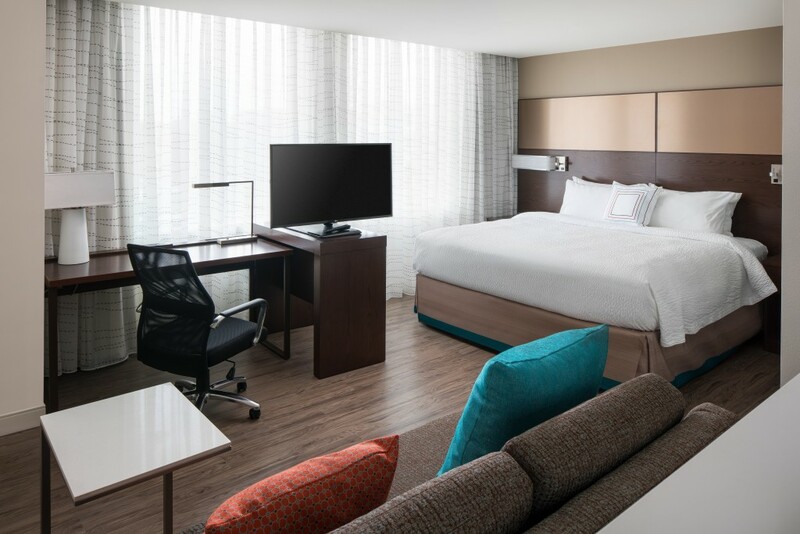 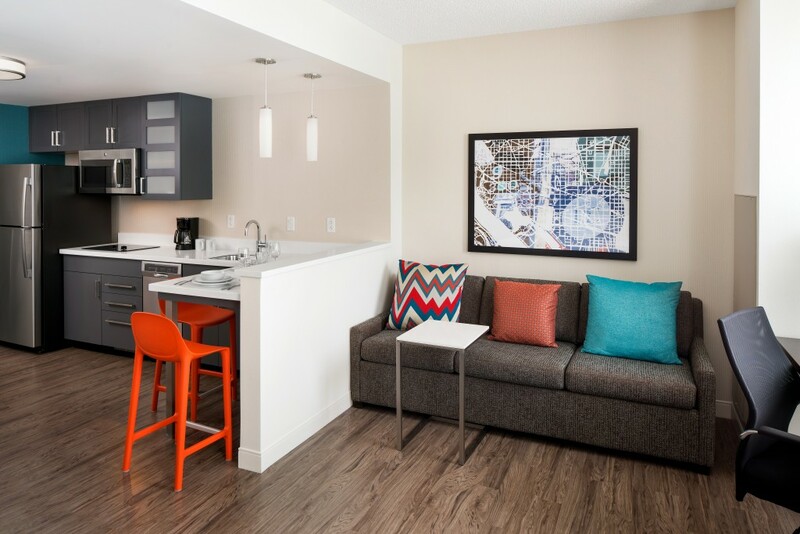 The Residence Inn Washington Capital Hill / Navy Yard is part the Capital Gateway, an area of the city that’s reinvented itself to be a destination for visitors and locals alike. 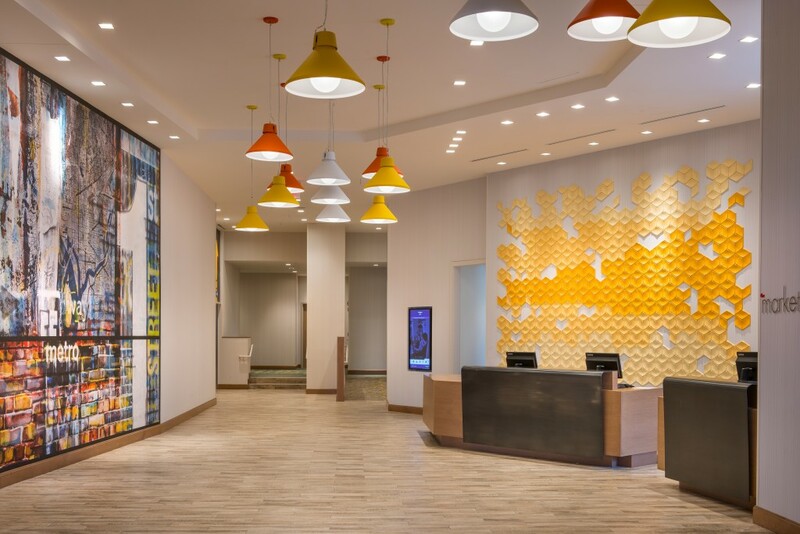 Capturing the revitalization and fresh energy of the area public spaces are dotted with vibrant, warm yellows and oranges. 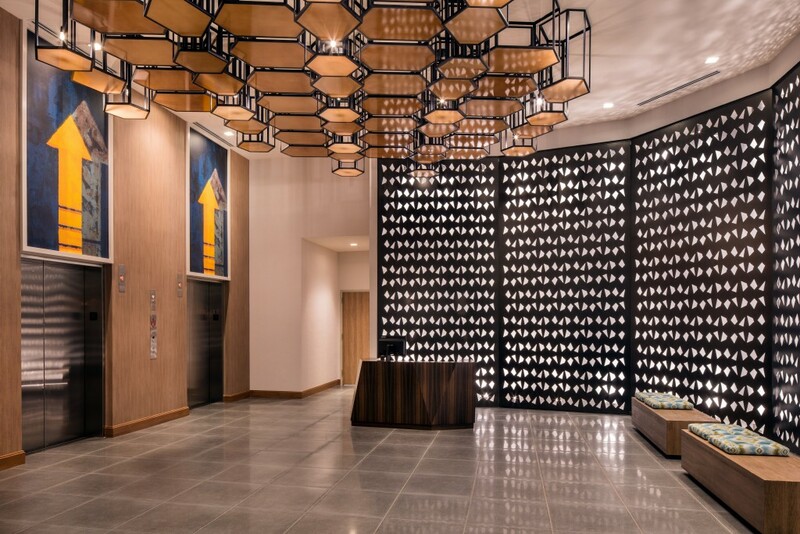 Custom lighting reflects the industrial heritage of the locale.